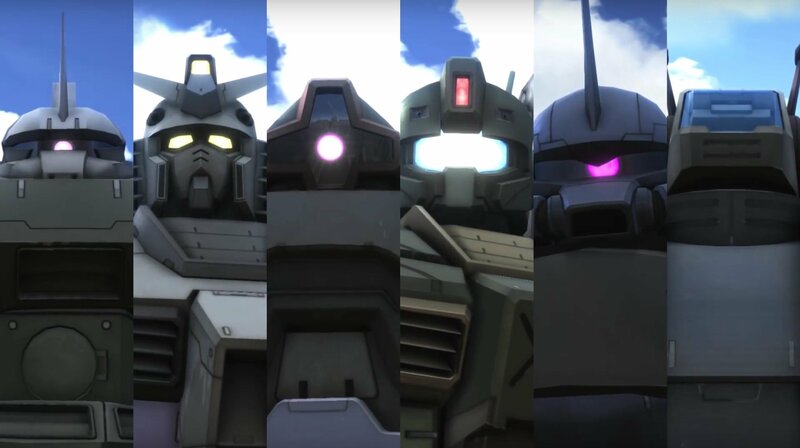 Mobile Suit Gundam: Battle Operation 2 is a title that just fell under the radar. The game came out exclusively in Japan this July, while international eyes were on the newly-released New Gundam Breaker. 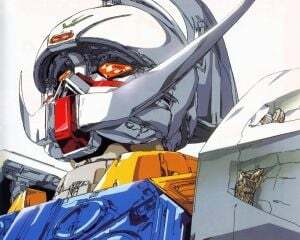 Due to a lack of English translation or wider release is Asia, which was the bare minimum that every Gundam game was receiving, it seemed like it would be forgotten to history. Fortunately, it seems like the free-to-play title will be getting a second shot at relevancy. Battle Operation 2 has not only been updated with the option to have English text, but it's now available on multiple other Asian storefronts. It's actually not that bad, to be perfectly honest. Right now the game is available digitally in Japan, Hong Kong, Taiwan and South Korea. While I personally have tested and played the Hong Kong version of the game, the folks over at Gematsu have confirmed the option for English text also exists in the Japanese version. While there's a good chance it'll be included in the other versions, I wouldn't take the risk and would just stick with the versions that have been tested. Before I tell you anymore about the game, let's make two things clear. The first is that the roster of the game is focused on the original show and its side stories, which include games, shows and extra materials. In case you're wondering, Thunderbolt is here despite its alternate setting as well as Stardust Memory, which is more of a sequel to the original series. If you're expecting any more Universal Century content from Zeta and onwards, or from an alternate universe like Wing or 00, then you'll be disappointed. The other major point is that the hook of this game is a gacha system. While there is a regular currency that you can buy many units with, along with a rotating store of rarer ones, many units are currently "gacha only". This includes the Ez-8 from 08th MS Team along with the Thunderbolt mobile suits. These may change with time, but perhaps not. If you're not ok with the nature of gacha mechanics, then just move along. Having played over ten rounds, on Wi-Fi no less, its pretty decent. The connection was smooth, hits were cleanly landing and registering, and I only had one room crash. While matchmaking did take some time, this was likely due to the timezone difference between myself and the primary player-base in Japan. If I figured out what peak hours were over there, I'm sure the wait time would be minimal. Plus, since its past its initial launch, the player-base that has stuck around is more experienced and competent as a result. The gameplay itself is the exact opposite of Gundam Versus. It's a multiplayer third-person shooter, and it places a heavy emphasis on a more realistic depiction. Your machine is slow, there are no fancy combo strings, you are committed to an action once you start. The boost mechanic is extremely limited, reloading takes a long time, etc. You get the idea at this point. If you were hoping for a Gundam game with a more grounded take, this is it. An interesting thing to note is that the game take a Splatoon-esque approach to maps. There are three maps available at any time in each gametype, with each map having its own rules and matchmaking. However, this is all on a timer rotation, switching out at set intervals. Since these rules include restricting what mobile suits can be used, this results in different experiences with each rotation. 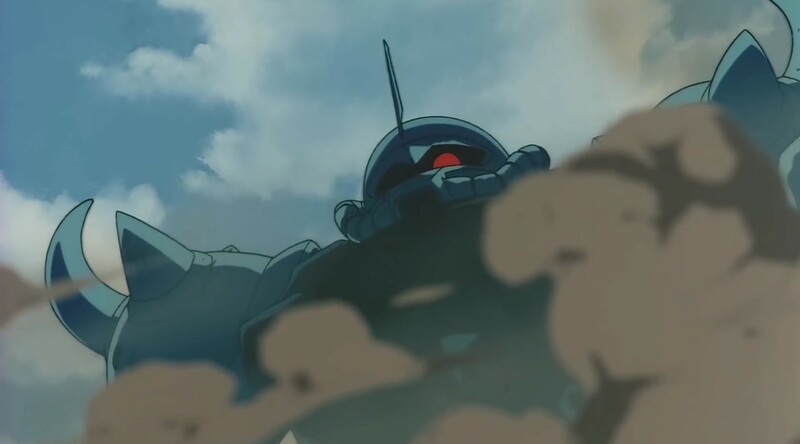 One moment you're using a Gundam, the next you're forced to use a Zaku. If you're looking for assistance or tips, there is a dedicated subreddit for the game. Where you can also find full details on the previously mentioned gacha system. Mobile Suit Gundam: Battle Operation 2 is available now in Japan on PS4.